Today it was perfect weather for sketching. 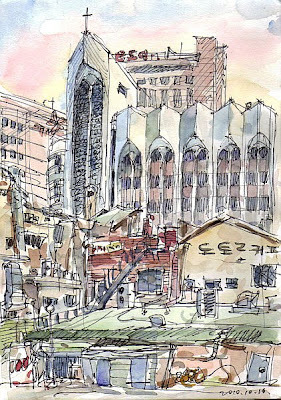 8 sketchers participated in the Sketchcrawl in Seoul. 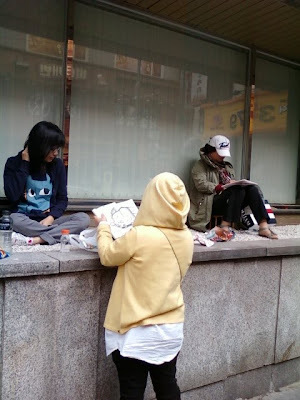 We started at 10:30 am at the Seoul Plaza in front of City Hall and walked down to Bugchang-dong. there are many restaurants and pubs. 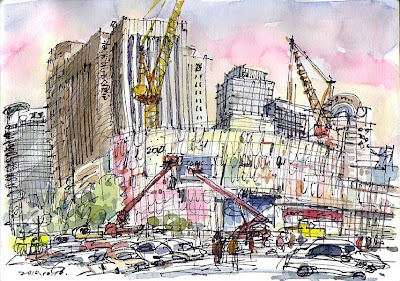 At the end we sketched at Namdaemun Market. 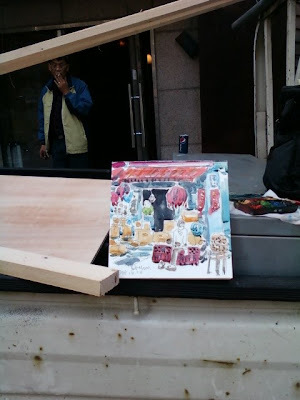 Here are some photoes of Seoul Plaza and the City Hall. 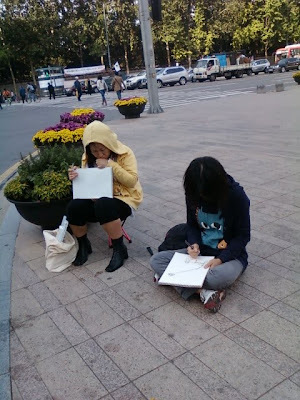 And these are some of sketchers who participated in this Sketchcrawl. And here is my result. 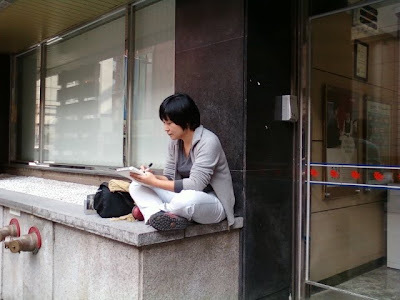 I enjoyed Sketchcrawl Day happily. How about you? I truly enjoy your sketches. Awesome. 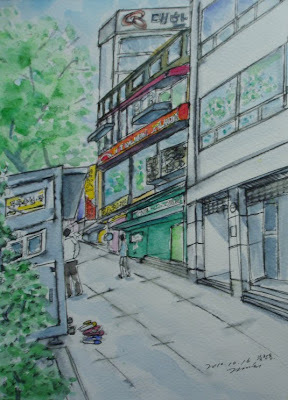 8 sketchers participated in this crawl on a very fine day. Here are mine. Hope you to enjoy! Thank you all! Last edited by bh yoo on Sun Oct 17, 2010 3:03 am, edited 1 time in total. 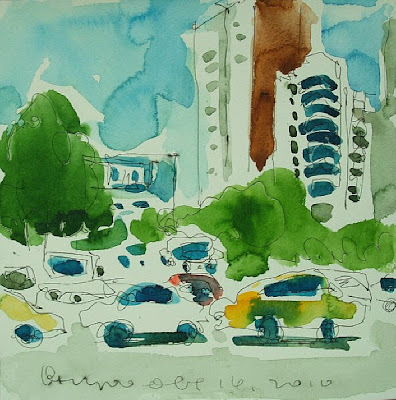 The Worldwide SketchCrawl day was favored with very fine weather. 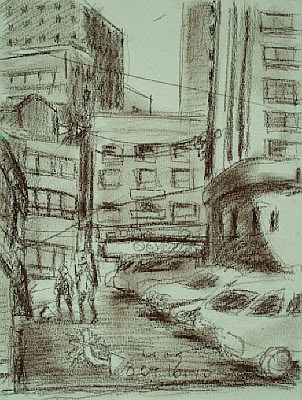 I sketched this and that around Seoul City Hall and Bugchang-dong. We had a pleasant time all together. Thanks all sketchers!! 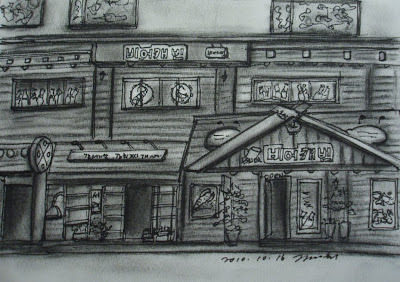 The following sketches were drawn by Kim Kyung-hee. 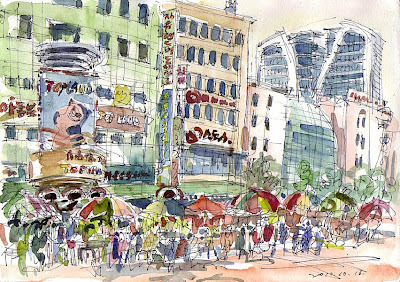 Lovely, lively sketches from Seoul - full of spirit and passion! I am going to keep on returning to these sketches to have another look. 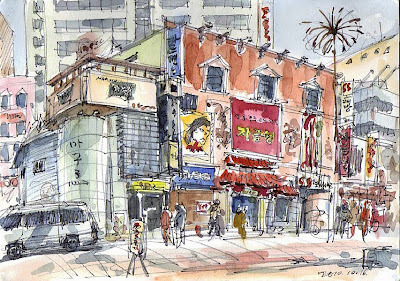 What great drawings from Seoul! 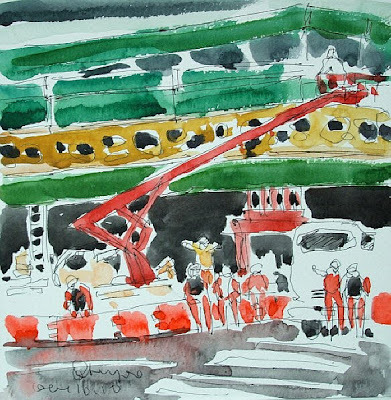 Kim: Wonderful compositions in your drawings! Great, vivacious sketchwork guys! 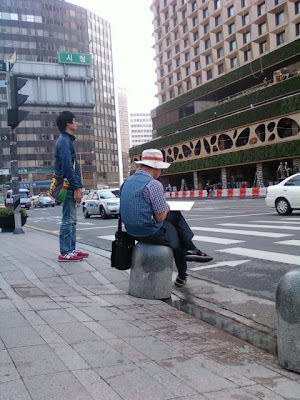 I think I have seen some of the peoples' work here on urban sketchcrawlers as well. 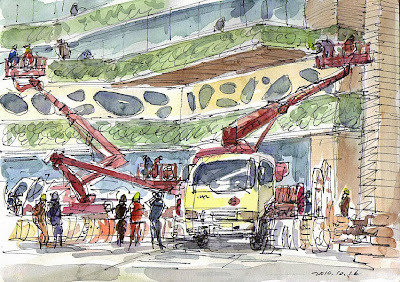 Bravo, tremendous energy in your linework and watercolours. 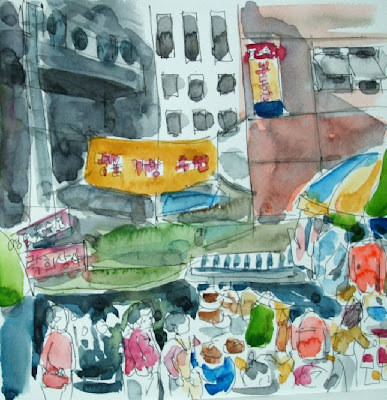 as always I am enjoying Seoul vicariously through your line and color! 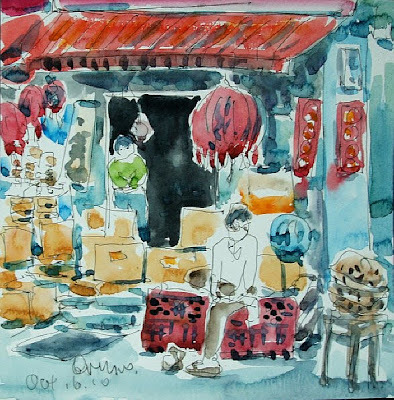 Awesome collection of sketches; I enjoyed them all.